The history of cricket game is about 500 years old today. It is believed that it was started in England by the children of the Weald village in the middle of the 16th century. This game was coined by cricket name French word 'croquet', which means a type of stick. In the beginning cricket was played with the help of a stick, which looks like today's hockey stick. By the 17th century this game was played by children only. After this the game started spreading its legs toward North America. So far this game has become very popular among the big boys. In the 18th century, the game had strengthened its roots throughout England. In the meantime, the game of Gambling and Betting Playing was also started. Some gamblers started building betting on cricket by building their own team. To prevent this, the British Raj banned sports betting of more than 100 pounds on the game. In the beginning, for almost 200 years, cricketers were playing only for fun and without any rules and regulations. In 1744, for the first time in cricket, methods of pitch, bat and ball were made. There was a time when this game was struggling to save its existence. People stopped playing this game due to the great war of seven years in the 18th century. But during this time, Hambledle was successful in saving the game because of a cricket club like Hampshire and Dartford. After this, in the 19th century, there was a similar crisis in Huawe's Napoleon war. In 1817, due to the fighting and fixing between Lord Frederick and George, questions were asked about the game. But the contribution of the county club has solved all these problems. In the 19th century, this game started to gain popularity among countries like England, America, Canada and South Africa. In 1844, the first international match was played between the United States and Canada. In 1862, the England team visited Australia for the first time and from here it is considered to be the beginning of Test cricket. In 1822, the Australia team for the first time went on a tour of England. This match was played on the historic ground of Oval. This tour started the Ashes series between England and Australia, which is still going on till date. Cricket in India was started by East India Company in 1721. The cricket club was started in Bombay and Calcutta in 1792. For the first time in the 19th century England team came to India to play cricket. Ranjit Singh was the first player to play international cricket on behalf of India. He first played cricket for the England team in 1896. The Ranji Trophy, which was held every year in India, was named after him. India played its first international match in 1932. After independence in 1952, the Indian team won the first match against England in a cricket match. In 1960, discussion started to start one day cricket. The number of hours in this format is limited. 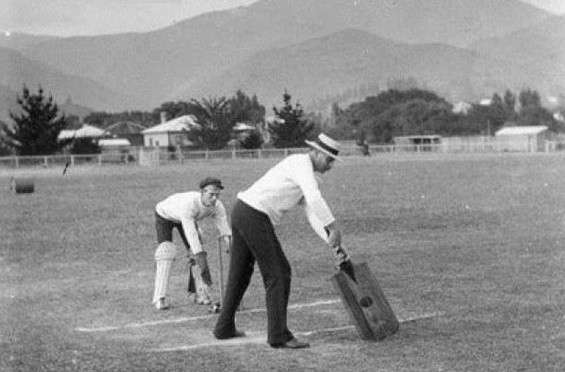 In the beginning, one-day matches were played for 60 overs. After this the number of the overs was reduced to 40. Eventually the ICC officially announced the 50-over ODI match. The one-day World Cup was introduced in 1975. India won the 1983 World Cup in the captaincy of Kapil Dev. This was followed by the introduction of cricket's fastest format T-Twenty cricket in the beginning of the 21st century. This format became the fastest among the youth. The first T-Twenty World Cup was held in 2007, in which India named it the title of its name.